It’s the first long weekend of the year and on Monday we’re sure to see scores of Aussie flags waving about as people converge beaches and BBQs for the ultimate Australia Day experience. Brands, too, are keen to capitalise on the hype of Australia Day, sometimes it goes splendidly well and other times it’s a bit of a face palm. Here are some of the highlights and lowlights over the past few years. 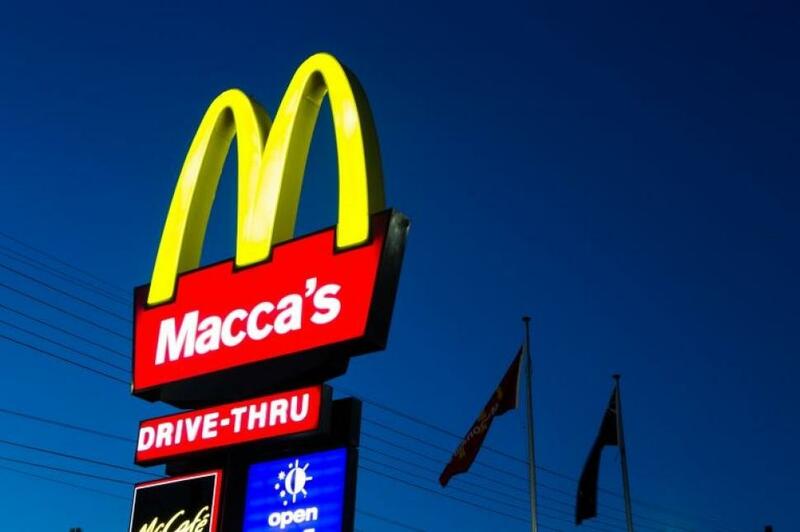 In the spirit of our love for lazy language use, fast food chain McDonald’s changed its name to Maccas in 2013. It was part of the brand’s larger Australia Day campaign. 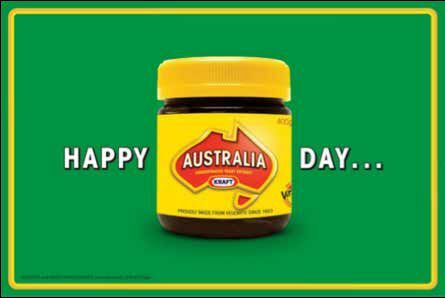 Vegemite showed its true Aussie spirit in 2012 by changing its name to ‘Australia’ for Australia Day. It wouldn’t be a list about Australia Day campaigns without mentioning these guys. Media personality Sam Kekovich had been fronting the MLA Australia Day campaign for a while, but this year MLA changed tack and recruited national treasure, Richie Benaud for its Australia Day ad. However Kekovich certainly got a lot of attention when he was the face. Animals Australia began the initiative ‘Everyone deserves a day off’ in January 2013 to encourage people to go meat-free on Australia Day. For Australia Day last year supermarket chain IGA appropriated Slim Dusty’s iconic ‘G’day G’day’ song for its campaign. Customers could download and stream the remixed song until April. The ad was banned. Need we say more? 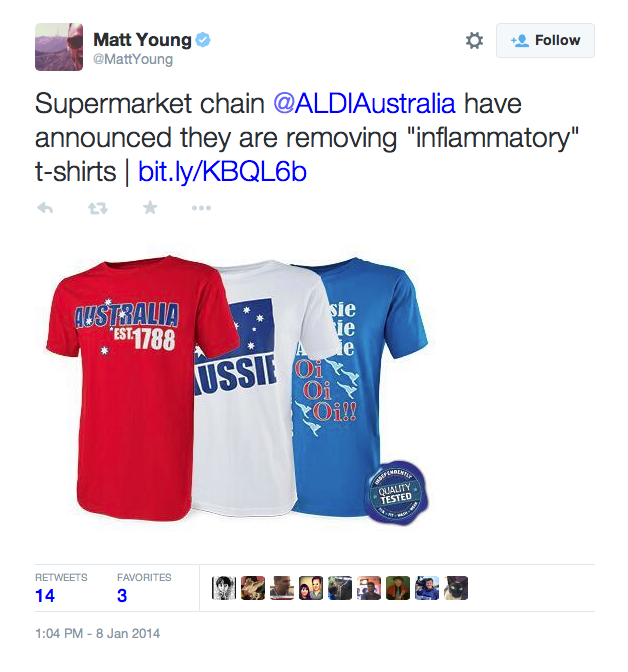 Some of you may recall last year when Aldi put out some T-shirts saying Australia was established in 1788. It caused quite the raucous on social media that’s for sure. Tweet us about your favourite Australia Day campaign @bandt. Don’t miss out on all the latest news and behind-the-scenes photos, follow us on Twitter, Facebook and Instagram.